Several new online courses are slated for the end of the year. We focus on a comprehensive range of topics with the aim to equip you with a more in-depth knowledge of the subject. Each day is structured to combine theory with practical work. In addition your new knowledge is put to the test when examining different items of furniture. The course is held in a bustling workshop, where fine items of furniture are in the process of getting restored and conserved. We look into different sides of restoration and talk about new and old methods and their advantages. A delicious lunch is provided daily with wine, this is a perfect time to digest the morning’s work and ask questions. If you wish to discuss any aspects of the courses further, please do not hesitate to contact us. If there is one comment that comes up after a course is that the subject is more fascinating and in-depth that they ever realised! At a dinner party many years later, sitting next to a glamorous girl – a woman with a dilemma – tell me more! Ten rooms to fill, hence plenty of space for new things (and old). She had the task of making the house into a home with the support of a very large company cheque book. Her real problem was the daunting task of visiting antique shops and entering into the world of auction houses, knowing little or nothing of the subject. I mentioned my furniture restoration and identification course ideals – the seed germinated and have proven extremely rewarding to both client and myself. I am still astounded how items constructed conceived and restored hundreds of years ago have survived the passage of time. Just recently a fantastic longcase clock dated back to about 1670’s came in. Crossbanded in olive wood with matching oyster veneers, small marquetry panels, showing the extra skill which made it exquisite. The marquetry was well conceived, not too fussy with native woods; some stained as was some bone inlay which gave it that extra bit of class. The case proportions were to die for, precise engineered to fit the movement and the pendulum arc. Of course many have some scars, if they don’t we would wonder what was wrong! What wood is a person’s prize possession made of? One of the most frequently asked questions. Yes wood is an enormous and fascinating subject. Provincial cabinetmakers might not have had access to some exotic woods and had to make do with what they had. Styles of furniture can also be hard to understand. An early oak joint stool could be made in the style of the 16-century but made yesterday. Dating furniture like this can be difficult to decide a specific decade without handling both an original and modern piece. Transformed furniture can be misleading, plenty in the market! The list is endless and sometimes not easy to spot the original. The better the transformation the harder to spot especially if old materials have been used. Not fakes but transformations to increase market value, sometimes successfully-sometimes not! Fakes – a different ball game, items made to deceive. I have bought some and don’t care, if the craftsmanship is as good as the original when it was made, then the inherent value will appreciate as a long-term investment. To produce modern quality takes patience, skill and knowledge all worth paying the price for, provided you are aware of what you are buying. The labourer is still worthy of his hire- the craftsman of his skill. Old labels may give details of the maker, retailer, shippers and the place of origin. Impressed marks on the carcasses can reveal a maker often on the top of a drawer or door. I find it quite disappointing seeing fabulous pieces but we have no idea what skilled craftsman made the piece. The proportions were marvellous, beautiful flowing cabriol legs and carved arms, infact none of the wood was straight everything finely shaped. As the light fell on the chair someone noticed two very faint letters, this ended up being all that was left of a maker stamp. In most instances the price will be greatly enhanced. Behind a clock dial can ever show repairers dates and names, even visits to the pawnshop. Painted clock dials held at various angles to catch the light could reveal the maker’s name if an ultra violet light is not available. I personally buy a varied amount of things whether it be porcelain for my own house or a painting. With works of art if one feels it is worth the price and one can afford it – buy it! I have often been into an antique shop or sale and come out with something completely different. I do try and look at everything however unknowledgeable one is, always something to learn! I end up putting the item back into another sale, hopefully not loosing money. Once it is accepted there is something to learn we can educate our eye to recognize quality and proportions. Now the real detective work starts in a real workshop. Clients can be as diverse as the twenty or so pieces of furniture. A bit like some jobs we take on, say yes, and then work out what you’re going to do nearer the time. Well, those were exactly my thoughts here. I was very encouraged that the course was booked up in a very short period of time, with a huge waiting list. I sometimes wonder whether what we do, goes completely unnoticed with very few people interested in learning the profession. I also explained how veneers were cut and employed over the centuries. As you start to understand wood you must also understand some of the history surrounding when it was used. Knowing when walnut, mahogany and other woods started to arrive in the country is also an important part. I think everyone left with their heads buzzing with information and new eyes when it comes to observation. I feel there is a lot to learn and the spiel was coming thick and fast. Flower vases on furniture – what a mess they can make, but that keeps us busy. The restoration of items like this are treated with utmost care and admiration. Unfortunately this has not always been the case, with furniture badly restored in the past and finishes destroyed that can never be recovered. This was in fact splitting everyone into groups and asking them to analyse three different pieces of furniture. The challenge was to work out woods used, date, changes, observations and then arriving with a conclusion. Of course every example was different, with a bottle to anyone who got everything right. This expertise of examining furniture is what gets everyone thinking and is the most fun. The detective work in recognising if something is hand-sawn or machine-sawn all helps in dating items. All courses went well with participants keenly interested in learning more. Some mentioned a longer course was in order to allow more to sink in and more time to examine lots of other furniture. I have had people on courses from all corners of the country and all different walks of life. It was a great pleasure having everyone here and how enthusiastic everyone was. This allows him to use furniture being restored as hands-on examples for his students. Provincial cabinetmakers might not have had access to some exotic woods and had to make do with what was available. An early oak joint stool could be made in the style of the 16th century but made yesterday. Dating furniture like this can be difficult to achieve without handling both an original and modern piece, which is what we do on the course. Old labels often show the names of the maker, retailer, shipper and place of origin. I don’t care, if the craftsmanship is as good as the original then the inherent value will appreciate as a long-term investment,” he says. Jeremy stimulated my interest in the marriage of furniture, where you take a piece of furniture and marry it up with another piece, making it more functional for today’s living. There will always be someone out there trying to pull off a scam, but with a little extra knowledge it is clear that we could save ourselves some money and heartache. Having said that, the old cliché of ‘it is only worth as much as you are prepared to pay for it’ still stands. I personally do buy a varied amount of things, whether porcelain for my own house or a painting. At a recent fine art sale a client told me that with paintings one needs to fall in love. With works of art, if you feel it is worth the price and you can afford it, then buy it. It is all a matter of educating our eye to recognise quality and proportions. Some of us are becoming more savvy, questioning evaluators and vendors. and with people’s confidence in equities shattered, more of us are looking at investing our money in something tangible, which is both useful, beautiful and appreciates in value. Jeremy is increasingly irritated at the public getting ripped off…. But if you take away something you thought was 18th century and later find its 19th century – you have no recourse. At least at an antique shop you can take it back”. Jeremy ran three courses at the end of 2001. I doubt it, so now’s the time to play the ‘experts’ at their own game. Our youngest participant was 19 and our eldest has been 84 so everyone is very welcome! We are by far the most popular with a very high proportion of returning customers. Although our weekend antique restoration courses are aimed at beginners, we don’t simplify things. We teach gilding using a range of techniques from pure gold applied with traditional rabbit-skin glues etc to artificial metal leaf applied with oil or water based sizes. In the course of our business we use basic metal-work techniques for accessories like hinges and castors. Our antique restoration course is combined with beginner’s upholstery. The simple fact is that most antique seating furniture is a bit wobbly. Any antique restoration course has to be hands-on. In our weekend courses we aim to put the tools in your hands and guide you through the process. A carving project is made easy with just a little guidance and the results can be quite startling. On the right, the key that holds the arm (or hump) onto the frame had to be replaced. The new piece is made up in oak and fitted to the original holes. It begins somehow, usually with an interest developed early on as a child. Almost mystically, the collection begins. Eventually, there comes a time when the collector desires to sell an antique or collectible, perhaps because it is a duplicate or to make room for another object. Successful collectors learn what sells, and what to buy in order to sell later. Many of the most profitable collectors and dealers learn the principals necessary to trade, barter, acquire and sell both antiques and collectibles. They use knowledge as their best tool to acquire items for their collections or resale. Determine collectibles versus just plain old stuff. Describe antique glassware, furniture, and other items. Describe care and preservation of antiques. I felt very at ease and comfortable working with her. I would like to take another course with her in the near future. The course was a great help for me and very useful for future reference. In this course, you'll learn what to expect, how. Most of us have seen butterflies in our backyard, and admired them, but many of us don't know much about them. Your knowledge and experience related to business does not need to be extensive, but learning about what is needed for your own business can aid you in its development. Calligraphy gives you the capability to personalize many items and gifts. The regulations set in the moment you decide to start your own business. By the time you finish this course you will be well on your way to making and storing foods like you have thought about for so long! The course will focus on furniture and antique restoration and offers 20 participants project-based training and work experience related to the furniture and antiques trade. Antique furniture restoration requires many specialist skills and participants will learn antique furniture restoration methods such as hand finishing, veneering and marquetry and furnishings and fittings to enable them to go on to gain employment, self employment or progress to further training. The course is a wonderful opportunity to those seeking a recognised qualification or change of direction in their career. The course will run for 40 weeks and is aimed primarily at persons between the ages of 16 and 35. If so, this course will help you to proceed with confidence! The course is open to anyone from complete beginners to those with some experience wanting to further their knowledge and skills. The aim of the course is to provide you with the key skills and knowledge required to restore a piece of antique furniture. There are no final qualifications associated with this course. Advice will be given by the tutor about additional materials required as your project progresses. You should also bring with you to the first class a small item of furniture on which you wish to work, where you can discuss the materials you need with the tutor. A course about antique furniture repair for the beginner. Learn what tools and methods are acceptable practice for antiques. We can do almost all these repairs without specialized equipment and extensive tools since none of things existed at the time the furniture was made. Most restoration work will use commonly available materials and tools that you may already have in your home. Watch and learn the original methods used by old master furniture makers with historic period materials. See how to work with wood joinery, adhesives and fasteners. Learn how to evaluate an antique for purchase. Recognize any previous work, improper repairs or replacements. This course is made for a beginner with no previous experience. Not only is this course is for the beginner, but also offers much insight for an experienced person with regard to historically accurate materials, concepts and methods are practiced by many antique conservators. We realize that our clients place considerable trust in us, and we operate with honesty and integrity. Students are encouraged to bring their own piece of furniture to work on. Attendees will be given an opportunity to learn all aspects of furniture restoration from reconstruction to finishing. 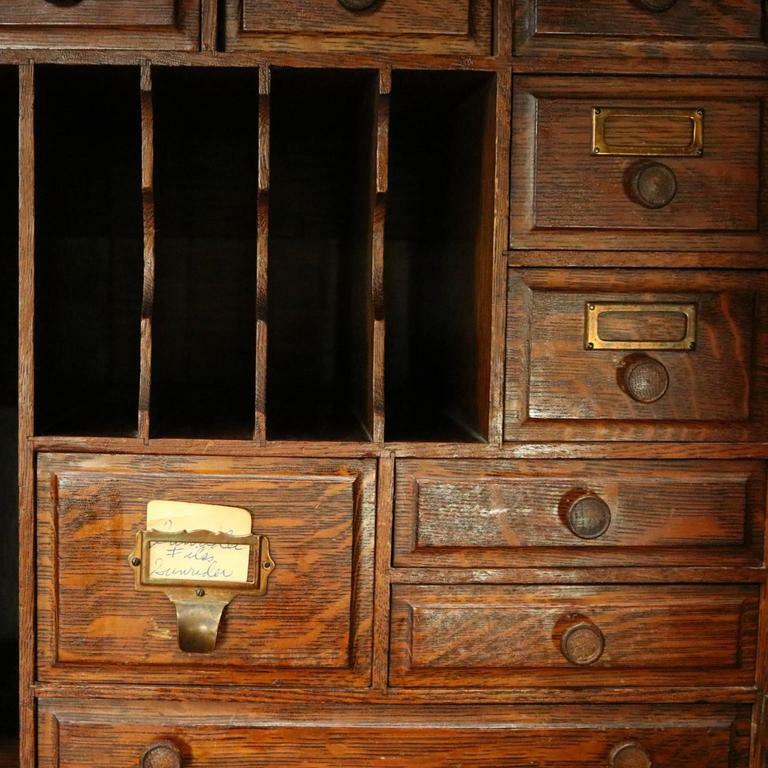 If you have no experience with antique furniture, start here. It is better that you know very little, than to be full of all the wrong concepts you may have learned from other well meaning sources. You will learn the basics of conservation and restoration for antique furniture in easy to understand terms. The goal is to protect and minimize deterioration to keep antique furniture in its' original state and prolong its' existence. Antiques require proper care to protect them from various potential hazards in a home. Your home is not a museum, but you can continue to use, enjoy and safeguard your antiques. Learn how popular finishes of the 1700's, 1800's and early 1900's were created. This knowledge can be applied to your own antique furniture. Find out where to buy products and supplies. The course aims to show students how to assess the work necessary to restore furniture and to cover the main skills and knowledge required in the restoration of small pieces of furniture to a good standard. Students are welcome to bring small items of furniture to be worked on, but it must be emphasised that storage space in the college is limited so work will have to be taken home after each session. You could enrol on the next term of the course to develop your skills or another of our craft related courses such has picture framing and upholstery. Features articles on collecting antiques for dealers and hobbyists. Usually it is an object that represents a previous era in human society. Students will learn how restore antique furniture. What do you need to be good at furniture restoration? I can combine all of these passions in my work. Work for love and try to put bread on the table using your talent and knowledge. Try to be motivated by the love of the object rather than the profit the end project may bring. Can you describe a typical day in your working life? I specialise in the restoration of carved furniture and antiquities. This can help you successfully pinpoint an objects’ era. You will then learn how to buy and sell antiques, assess an items value and build your own collection. Learn from quality course materials created by experts and receive excellent tutor support – to help you achieve your goals. You can then enjoy your course at your own pace, studying when it suits you and where it’s most comfortable. This gives you the freedom to learn around your existing job, family or other commitments or location (including overseas). Course materials have been developed by experts and are clear and straightforward so your studying is easy and enjoyable. Our tutors are all experienced, qualified and passionate about sharing their love of their subject. Timescales are approximate and depend upon application and motivation. This is a valuable vocational qualification demonstrating that you have completed a validated training course at a recognised level of study. It’s also possible that you find yourself drawn to tag sales and flea markets, looking for cost-friendly décor items, but know that these antique finds could use some updating. If you’ve always wondered how to turn your furniture “trash” into valued “treasures,” this course is for you! In this furniture restoration course you will learn the basic principles and techniques for restoring multiple types of materials and creating do-it-yourself décor you can be proud of. You will learn what makes antiques unique to their time periods and how to keep the integrity of historical pieces of furniture while updating them in a way that suits your aesthetic. Throughout these course modules in furniture restoration, you will quickly become familiarized with developing the talent of looking at something old and making it feel new again. Our courses are suitable if you want to learn new skills, start a new career, or if you’re already working in a particular industry and wish to upgrade your talents and enhance your resume. Congratulations on your amazing achievement! Sometimes thinking of taking on new learning can be daunting but, once started, it was both fun and fulfilling at the same time. Want to stay updated on new courses, special offers, and all the extra greatness we have to offer? The courses were created with information obtained from rare antiquarian books that explained and described the processes used to create antique furniture of the previous centuries. All the courses below are bundled for a special priced enrollment. A collection of antiquarian and rare titles. Many of these items are waiting for some type of repair, restoration or conservation. Antique furniture left unattended will certainly deteriorate over time. Some conservation is necessary to preserve these fine antiques for their history and beauty. Finishes on furniture are applied for protection and beautification of the wood surface. The original finishes on old antiques have special quality and beauty. Antique restoration is performing necessary restorative repairs. These include repairs to the structure, non-structural parts, repairs to the coating or finish which is necessary to continue protecting the wood. Applying protectorates to the existing finish will help prevent the negative effects of environmental factors. The coupon code you entered is expired or invalid, but the course is still available! Any updates or new books are automatically updated for all enrolled students. Unlimited 24/7 online access to the school. Build vocabulary concerning furniture anatomy and ornamentation.